Coco Powder Is A Rich Source Of Antioxidants And An Abundance Of Magnesium And Iron. Separated From .. This is a Vegetarian product.Cocoa nibs are considered excellent mood enhancers. Nibs are f..
*Imported & Shipped Directly from USA* 100% Certified Organic, kosher, non-GMO, glut.. 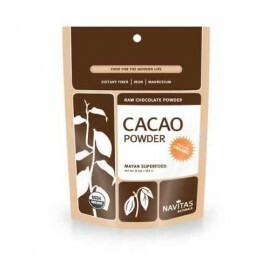 Premium Raw Cacao Nibs - 16oz/1 Pound "Guaranteed Highest Quality"
Premium Raw Cacao Powder - 16oz/1 Pound "Guaranteed Highest Quality"
*Imported & Shipped Directly from USA* Cacao also contains more antioxidant flavonoi..
*Imported & Shipped Directly from USA* USDA certified organic Premium cacao with a..